Atheist Lee Strobel served as the legal affairs editor for The Chicago Tribune, having graduated from Yale Law School. But his wife, Leslie, went to church one Sunday morning. To win his wife back to their blissful state of unbelief, Strobel went on a quest to use his investigative journalist skills to debunk Christianity once and for all: "No resurrection, no Christianity." But when he intensely studied the actual evidence, he reluctantly became convinced that the claims for the life, ministry, and resurrection of Jesus Christ are indeed true. 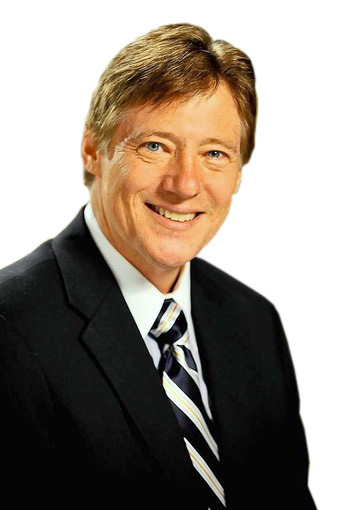 Strobel wrote a book about his spiritual quest, called The Case for Christ, which has sold millions of copies. Now, a new major movie by the same title is coming to theaters (4/7/17) and will tell his story. 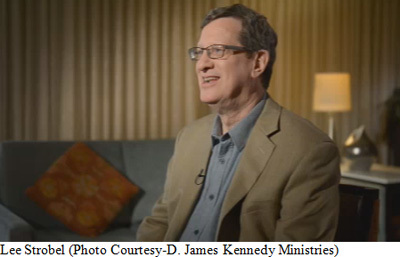 As a Christian TV producer and radio host, I have had the privilege a few times to interview Lee Strobel, a leading Christian apologist of our time. What follows are some of his answers to my questions that he gave me in some of those interviews. "I can go back to the exact place where I was sitting in a high school in Mt. Prospect, Illinois.... The scientific teaching I received, when I was a student, that told me that God is irrelevant and that evolution explained the origin and the development of life, really set me down a path toward atheism." "On the surface you can build a scientific case for Darwinism. In reality, though, the more you examine it, the more its pillars rot under scrutiny....I was told, for instance, that the fossil evidence supports Darwinism, and that you can reconstruct the progression of animal life through fossil discoveries and so forth. That's simply not true. What the fossil record shows is the sudden appearance of fully formed creatures, with no precursor animals, and really no substantive change afterwards." "I cross-examined experts to try to get them to articulate the evidence in a way that I could understand it and answer the tough questions that I had when I was a skeptic... and every time they would be able to provide cogent, solid arguments, and information and data and evidence that confirmed to me that Christianity is not a fairytale built on wishful thinking. But it is a belief system that is founded on a solid foundation of historical and scientific fact." "As a journalist, I've learned to investigate the reliability of documents. And when you look at the documents that make up the New Testament of the Bible, they meet the tests of reliability that historians use. For instance, the four Gospels in the Bible have ties to the apostles themselves. They're either written by apostles or by people who were working with the apostles, like Mark, who worked with Peter, and Luke, who was a close associate of Paul, the eyewitness to the resurrected Jesus. So, we have eyewitness testimony that goes into the Gospels that are in the Bible. They also come very soon after the events themselves, so soon that we don't have legend coming in and wiping out a solid core of historical truth." "There's an historian by the name of Dr. Gary Habermas. He did a study of the references to Jesus in ancient history outside the Bible, and he found over 100 facts about the life, teachings, miracles, death, and resurrection of Jesus Christ in ancient writings outside the Bible that corroborate what the Bible tells us about Jesus." "Our faith is built on a firm factual historical foundation. There's not some document that's going to surface, all of a sudden, that's going to negate 2,000 years of the Church. I went into this as an atheist. I went in as a skeptic. I went in as someone who was motivated for this not to be true. What did I find? I found that I could trust the New Testament of the Bible, when it tells me about the life, teachings, death, and resurrection of Jesus Christ. I found evidence that convinced me, as a skeptic, that Christianity is true."